Yep, I've got a full house. A pair of kings and three aces. 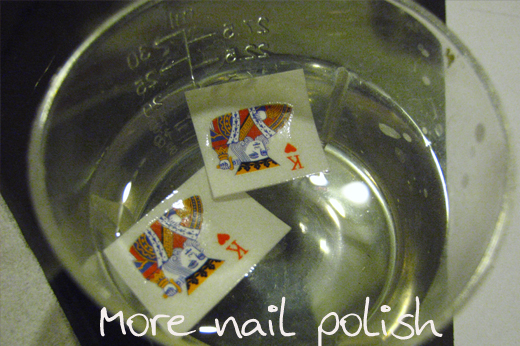 These are water decals from a great little set I got from the Born Pretty Store here. The thing that I liked most about them was that the decals actually have white printing. Most water decals that you buy, and certainly all the ones that you can print at home are only printed in the primary colours, so when the design calls for white, you have to put the decal on a white or pale base. 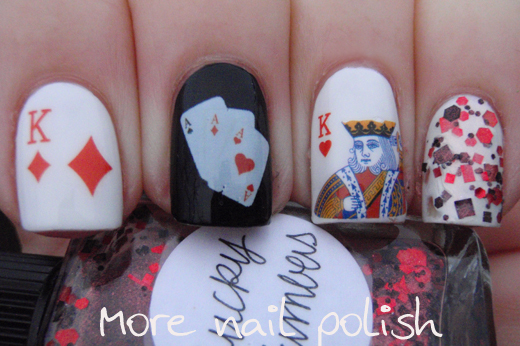 Because these have white printing, you can put them on any base colour, like I did with the three aces on the black nail. 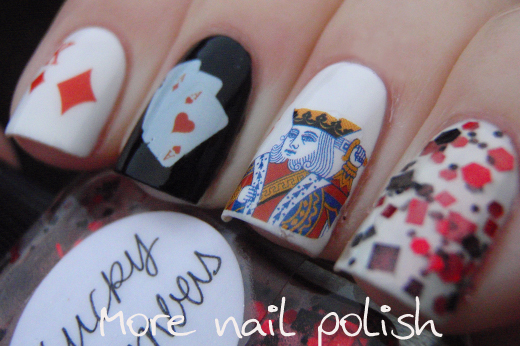 The detail in the king of hearts decal is also excellent, although I could have done a better job at positioning it toward the bottom of my nail. 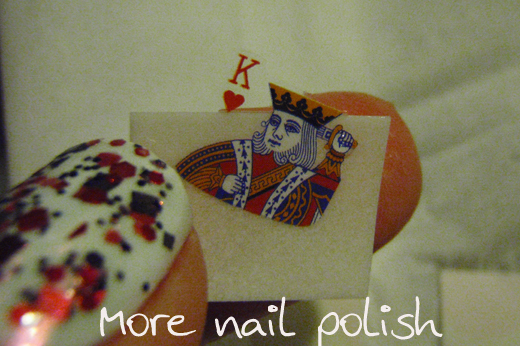 The glitter polish on my pinky (and thumb) is Lynnderella Lucky Numbers, which has always reminded me of playing cards and was the perfect glitter combo for this mani. The water decals were really easy to work with. 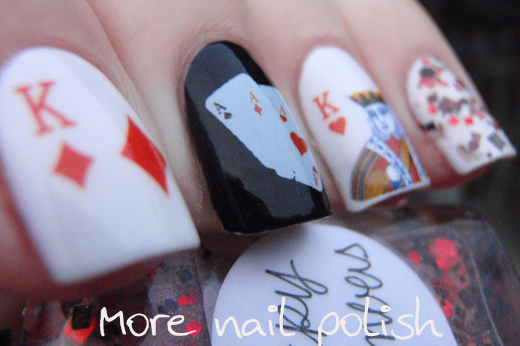 Nice and thin for invisible placement on your nail, but not too thin that they don't hold there form. I didn't need to soak these decals for very long, probably only about 30 seconds for each decal before they would easily slide off. The set comes with enough little decals to create two full manis with different designs, so for $2.16 with free postage, they are excellent value (especially when you compare the nail art sticker prices from my post yesterday).